I survived! I made it through our first week back! I really have a GREAT class this year! We have a lot of work to do, but they are just super sweet. VERY HIGH ENERGY, but super sweet! 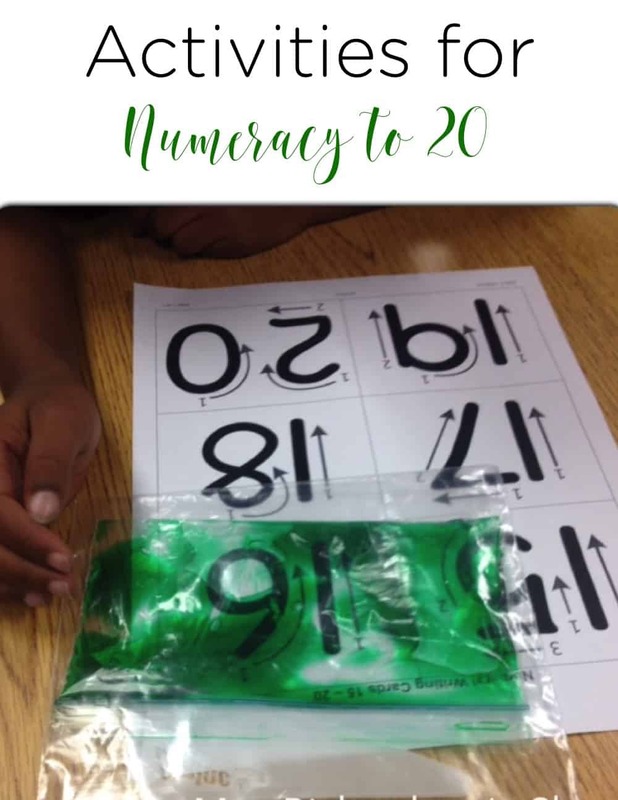 This week in math we focused on numbers 16-20. Our curriculum breaks down numeracy and focuses on 0-5, 6-10, 11-15, and now 16-20. Here is a little peak at what we did. We started off the week with simple one-to-one correspondence and counting. We played a game on our Mimio board. 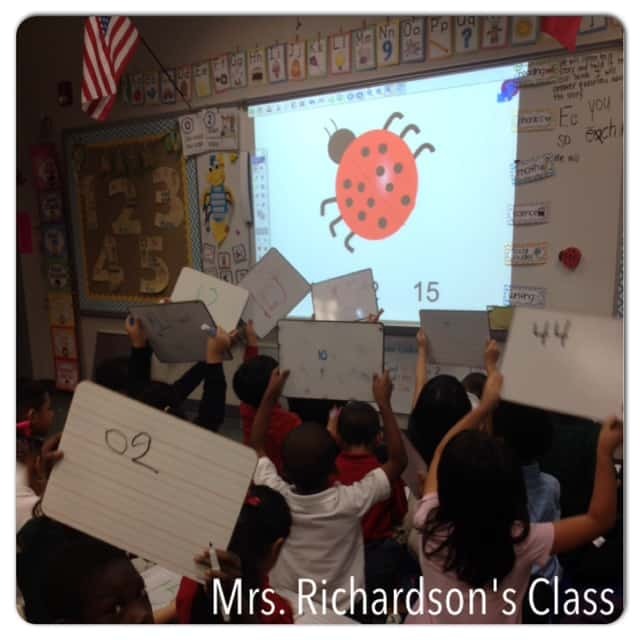 The kids had to count the dots and then I took it one step further and had them write the number on a dry erase board. Do you like that number “20” there? We then played a little partner game. 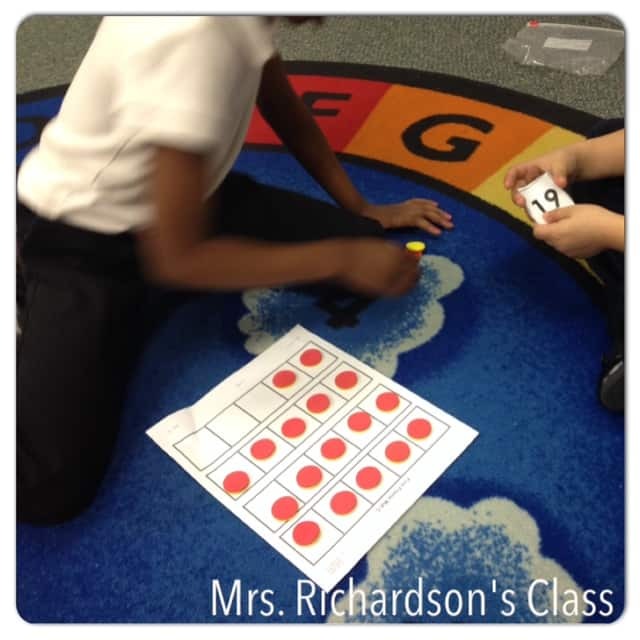 One partner had number cards 16-20. The other partner used the 5 frame mat and counters to build the number. We practiced this game for 2 days. My teammate and I were discussing how on day 2 they were WAY more independent and seemed to enjoy the game more, too. They were correcting each other and helping each other. While the kids were busy playing the game for a second time, I called them up to my table and in a small group we worked on number formation. The kids always ask me what is inside the baggie. I tell them SLIME! They think it’s SOOO awesome! Really, it’s hand santizer (because we have more than we can handle) with green food coloring in a snack sized baggie. Then I placed that baggie inside a larger one for protection. We have had no leakage, though. 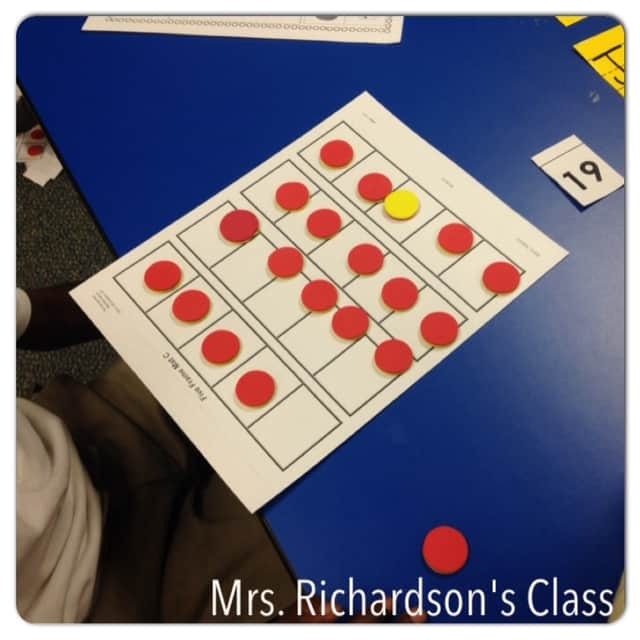 Simple, yet engaging activities the first week back. 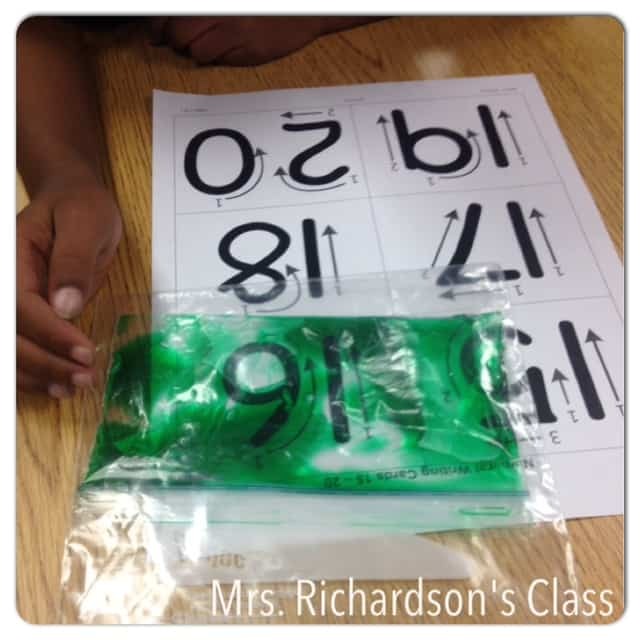 We have done this little routine with each set of numbers as our curriculum recommends. By now, the routines were familiar and the kids knew just what to do! Where do you get the number formation pages? Or do you make those? Very cool idea with the hand sanitizer and food coloring! I’d love to do this with letters too! They were a part of our curriculum. 🙁 Doing the same with letters is a great idea! Why haven’t I thought of that?! This is a great idea. I just found your blog (how have I missed this?) and started following you I can’t wait to catch up by reading your previous posts tonight. 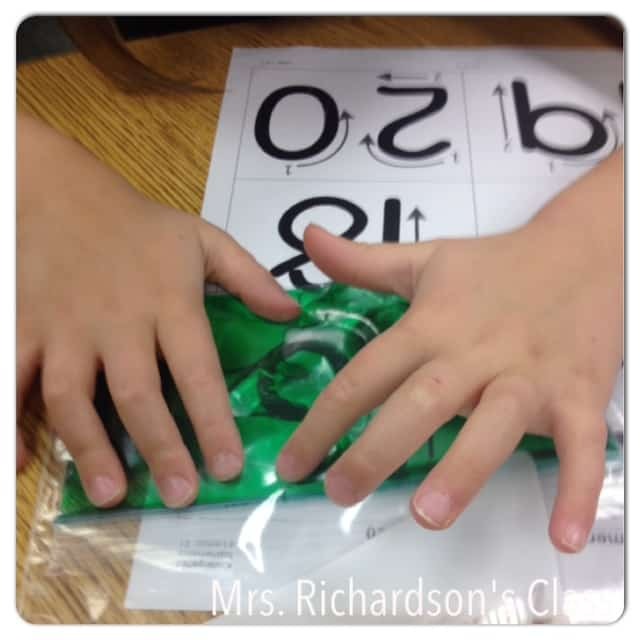 I have to try this idea with my firsties with their spelling words ASAP ! I recently started blogging and would love you to check my blog out too.